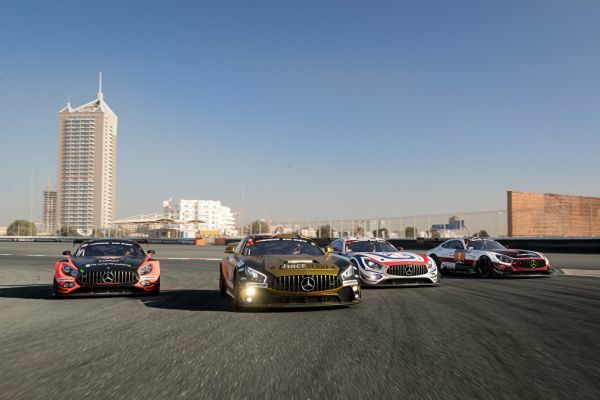 The 24-hour race in Dubai is on in full swing. 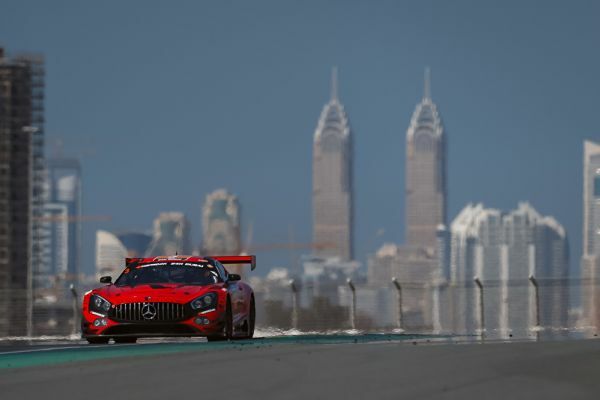 On Friday afternoon, a total of 89 cars took on the first endurance racing highlight of the new calendar year, among them ten Mercedes-AMG GT3 and three Mercedes-AMG GT4. 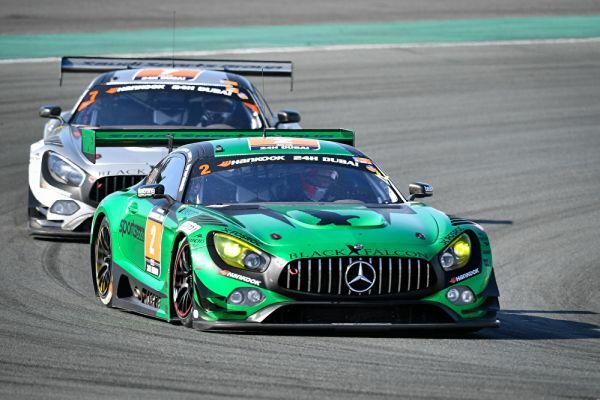 During the first hours of the race, the teams with the cars from Affalterbach showed a promising performance: with 178 laps of the 5.390 kilometres long circuit completed, five Mercedes-AMG GT3 are within the top ten of the overall standings. In the GT4 class, the Customer Racing Teams also have good perspectives while running in second, third and fifth place. 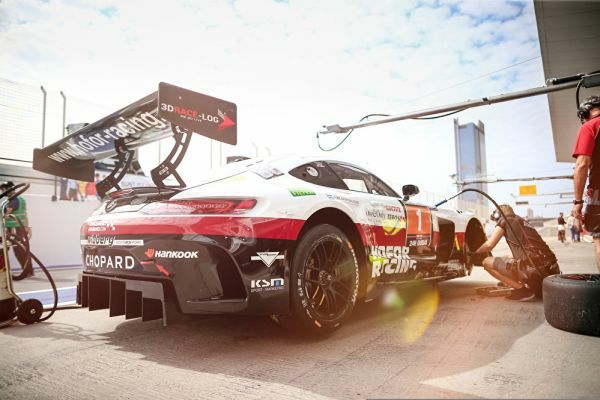 In excellent weather conditions and with high asphalt temperatures, the right tyre management in particular was playing a major role in the early stages of the race. 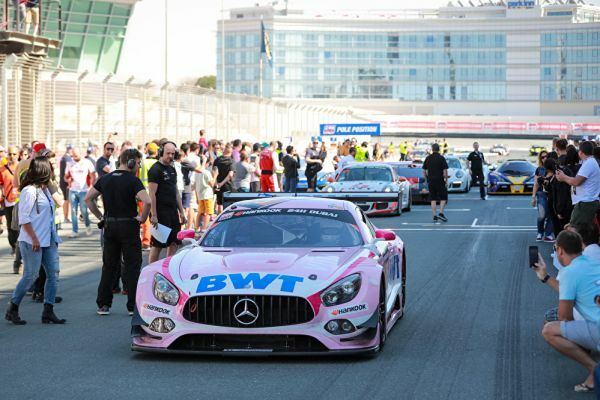 Having started from second place on the grid, the #3 BLACK FALCON Mercedes-AMG GT3 opted for a particularly good strategy: the quartet of Khaled Al Qubaisi (UAE), Jeroen Bleekemolen (NED), Manuel Metzger (GER) and Luca Stolz (GER) regularly took turns at the lead of the field and are running in second place with 178 laps completed after seven hours of racing. Another car to establish itself at the front of the field was the #25 (HTP Motorsport): Brice Bosi (LUX), Indy Dontje (NED), Alexander Hrachowina (AUT), Martin Konrad (AUT) and Bernd Schneider (GER) are in fourth place. Having started from third place on the grid, the #2 BLACK FALCON sister car with Abdulaziz Al Faisal (KSA), Yelmer Buurman (NED), Hubert Haupt (GER) and Gabriele Piana (ITA) lost a few positions in dense traffic during the early stages of the races, but worked its way back up towards the podium places and is currently in fifth place. The two SPS automotive-performance cars round out the intermediate top ten with the #16 in eight and starting number 24 in tenth place. Last year’s Pro-AM winners, the #1 Hofor Racing entry, has the top ten within reach while in eleventh position. The best-placed Mercedes-AMG GT4, the #24 (BLACK FALCON Team TMD Friction) with Antares Au (HKG), Jonathan Hui (HKG), Kevin Tse (MAC) and Frank Yu (HKG) is heading into the night in second place in its class. The RACE Scout by Winward / HTP Motorsport team with Norberto Fontana (ARG), Christian Gebhardt (GER), Bernd Schneider (GER), Bryce Ward (USA) and Russel Ward (USA) is third in class. The #233 (Besagroup Racing) with Roland Asch (GER), Sebastian Asch (GER), Franjo Kovac (CRO), Cora Schumacher (GER) and Fidel Leib (GER) is running in fifth position in class.